I liked the location behind passport control so departure in the morning was easy. Very clean, bed was surprisingly comfortable. Great location. I had good rest between my flights. The staff were super friendly and helpful. The bed was a dream. We are thrilled to have discovered this hotel. And the fact that it is located inside the airport was marvelous! Just a short walk away from our gate! Very good hotel! The location is perfect. 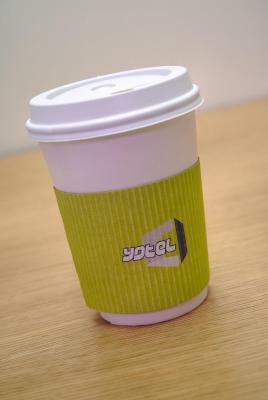 They also provide free hot drinks, so sweet:) staffs are nice and friendly, an amazing experience. Location is awesome, also offering hot beverages are appreciated. Illumination options inside the room are comfortable to relax. Very convenient for early flight, past security so you only need to shower and dress and you’re ready to board! Friendly staff, complementory coffee and tea. Great customer service, excellent location for overnight layover. Interesting theme. Tiny room with all necessary amenities. All in all (see the negatives), no positives. Might be different if I'd gotten a bigger room. 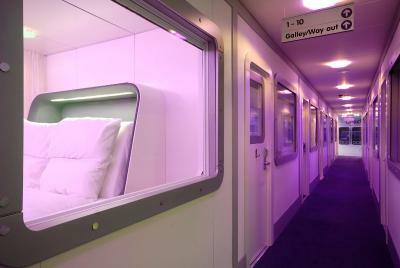 YOTELAIR Amsterdam Schiphol Transit Hotel is located in Lounge 2 inside the transit area of Schiphol Airport. This transit hotel is only accessible for guests in transit or for guests who are checked in on an outbound flight. It is not possible to bring large items of luggage to Yotelair, but your airline may allow you to check in large items prior to your flight. The innovative cabins are modeled on the experience of a first class private airline cabin. They offer luxurious beds, mood lighting, a flat-screen TV and free Wi-Fi. The private bathroom has a monsoon rain shower and complimentary body wash. The cabins have international power outlets. There is a 24-hour front desk (Mission Control) which offers unlimited complimentary hot drinks. A selection of snacks and drinks are available around the clock. YOTELAIR is located behind Security and Passport control inside Schiphol Airport. It is located in Lounge 2, opposite the SUSHI & NOODLES Bar. IMPORTANT: essential arrival instructions are stated in the fine print on the bottom of this page and on your booking confirmation. Please read these instructions thoroughly and have them at hand when arriving at Schiphol Airport, as they are crucial to find the property. YOTELAIR Schiphol is just a few minutes’ walk from the departure gates. The city center of Amsterdam is 15 minutes away by train. 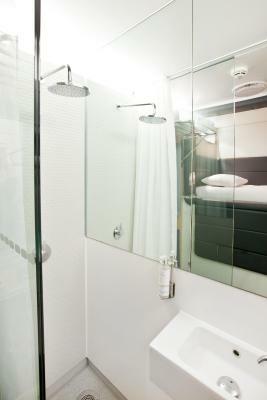 When would you like to stay at YOTELAIR Amsterdam Schiphol Transit Hotel? Guests are kindly requested to note that the bed in this room is 40 inches wide. This cabin has a double bed. Guests are kindly asked to note that the bed in this room is 4.25 feet wide. YOTELAIR Schiphol is located in Lounge 2, the secured area of the main terminal of Schiphol Airport behind passport control. 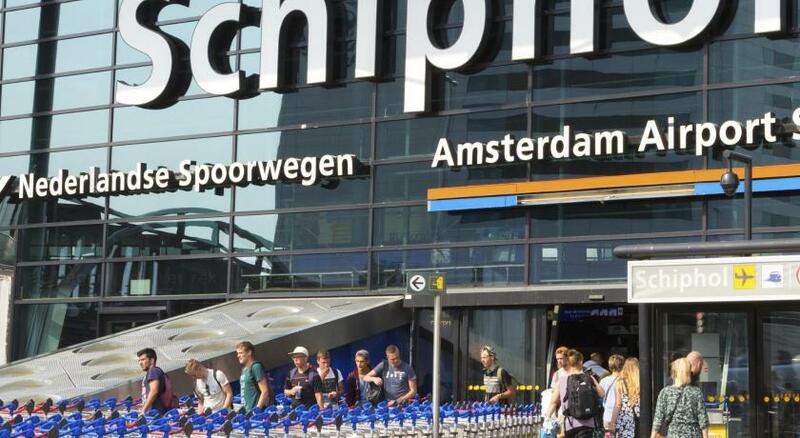 The hotel is accessible for guests in transit or with a valid ticket departing from Schiphol on the same day or the day of check-out. 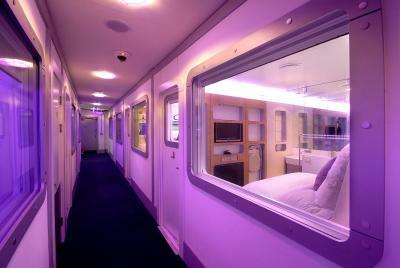 The innovative cabins are modelled on the experience of a first class private airline cabin. 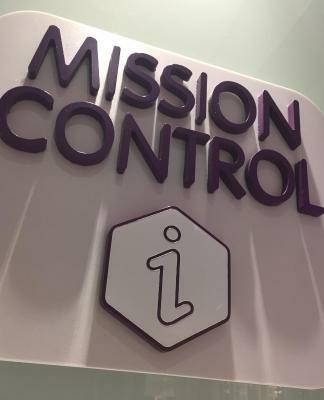 There is a 24-hour front desk (Mission Control) which offers unlimited complimentary hot drinks. A selection of snacks and drinks are available around the clock. House Rules YOTELAIR Amsterdam Schiphol Transit Hotel takes special requests – add in the next step! YOTELAIR Amsterdam Schiphol Transit Hotel accepts these cards and reserves the right to temporarily hold an amount prior to arrival. - your passport or ID card. 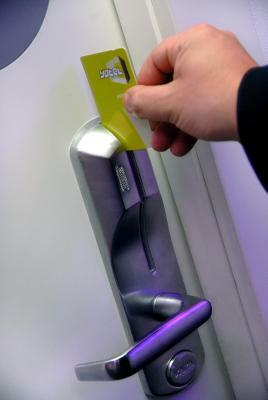 YOTEL is located inside the secure transit area at Schiphol Airport behind passport control. You will find the hotel in the Lounge 2 area (top level). - At the IWC Schaffhausen, take the escalator up to the 1st floor and YOTEL is on your left hand side. - turn right and YOTEL is located on your right hand side. - At the IWC Schaffhausen, take the escalator up to the 1st floor and you will find YOTEL on your left hand side opposite the Sushi & Noodles Bar. Please note that it is not possible to bring large items of luggage to the hotel, but your airline may allow you to check in large items prior to your flight. 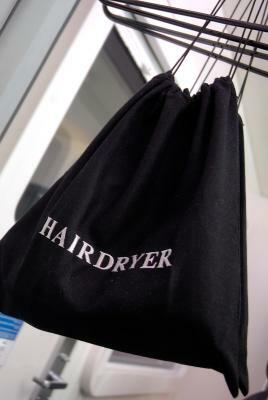 You can also store them in the baggage lockers located before passport control. To locate your baggage, go to Arrivals Hall 1 and follow the signs to the Baggage Storage. 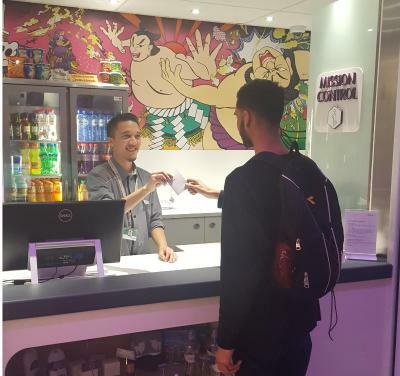 Please note that YOTEL does not accept cash payments. Only credit cards and debit card. It is possible to prepay your reservation before arrival. The fact that the room is not 100% sound isolated, so neighbourgs wake you up when they leave. Also the water pipes and fans make noise every once in a while. I was awaken at 4am at the sound of the neighbourg's blind being lifted up. My room key didn't work the first time so I had to go back to the front desk. very clean. no noise. easy check in. That we were 5 hours early and could not check in before 6 pm. This is a late check in time compared with all the other places we've stayed around the world! Had to wait in the airport for hours just to check in. Couldn't take our one large suitcase with us through customs to the Yotel so had to leave it in a baggage locker (costs!) ----------- staff, after many tries, were very helpful guiding us though the corridors, etc and back to our custom's check in area. Only airport ever to allow us a bottle of wine though customs! Having to get out of the checked in area to find the locker was somewhat difficult but remembering how we got from there through customs again was easy enough. It wasnt clean. Too small but for a night, its ok for a few hours to stay. Staff was kind. Good location right on airside. Had to go outside the terminal to leave our bags in storage then come through security to go to the Yotel. Then go out in the morning to get our bags and go through security again in order to continue our journey. Toilets are airplane-authentic, that means loud. Check your boarding gate in advance, sometimes you have to return to the departures hall and find another way. Nice, small but cozy room at the airport. It was an interesting experience to stay here. It comes handy when your plane leaves early in the morning. Tight space. Check-out time is 7am if you book via bookings. The location is apparently good. Cozy bed. Nice staffs. A couple of restaurant available just in front of the hotel. What I did not like at the hotel was the absence of windows with natural light. The great advantage of this hotel is that it is located after passport control, so if your flight is on the other day or at dawn it is a great option for sleeping. Now if you have trouble staying indoors with no windows, this is not your hotel. The acoustics are perfect and the dining options are excellent.